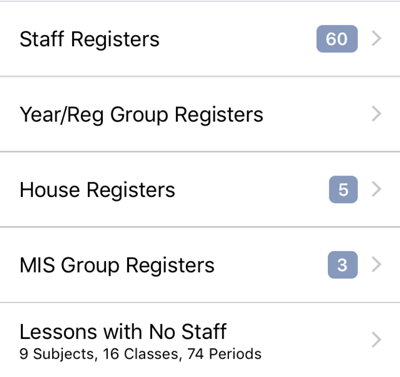 Taking Attendance in Emerge Mobile is intuitive and simple. Whether you have access to the internet or not, you can follow the short instructions in this guide to take the register for your class, or if you are covering another class at the school. 1) Log into your app and tap Attendance. 2) If you have a class right now, the Register will appear at the top of the page. a. All of your registers for the week will appear in the middle of the page, under My Registers. 1) If you are taking attendance for the AM Registration session, or a timetabled group, follow the below steps. b. Tap on the left (red side) to mark the student with an unexplained absence. c. Tap in the middle of a student to mark them as late. d. Tap in the middle of a student to choose another absence code. 2) If you are taking attendance for the PM Registration session, Emerge Mobile anticipates the marks for you. 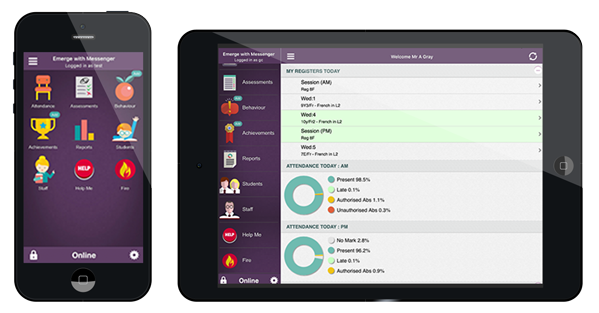 For example if a student was marked as absent during the AM session, Emerge predicts that you are going to mark them as absent this afternoon too. a. As you can see in the short clip above, to confirm students’ attendance are the same as the morning session simply tap on the check box on the right. b. To give a student the opposite attendance mark from the AM Registration Session, tap of the left of a student. 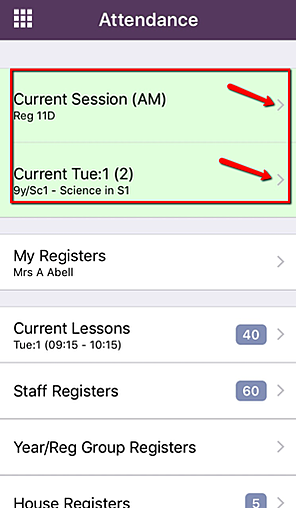 c. To give a student a different attendance mark, tap in the middle of a student to view all other codes.